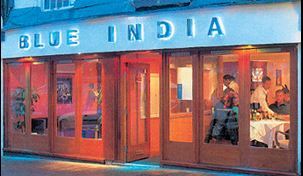 Blue India restaurants in Haywards Heath has been serving innovative Indian cuisine to West Sussex for more than 7 years. Over the years we have developed an exciting menu consisting of old favourites and our signature innovations. We believe that our guests are just that, GUESTS, not just customers. It is you our guests who create the atmosphere and make Blue India what it is today. Our aim is to serve you high quality Indian food at reasonable prices in a warm and relaxed atmosphere. Whether you are looking for authentic Indian cuisine or fusion nouvelle cuisine, we can guarantee the highest quality, both in cuisine and service. & from 6.00pm - 11.00pm daily.